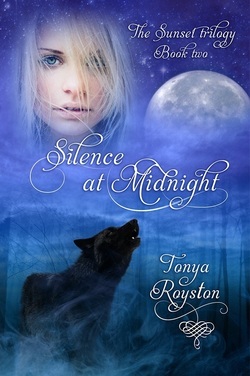 Eighteen-year-old Laken Sumner has just escaped from a stranger and a pack of wolves in the dark rain on a lonely mountain road. Normally, with her ability to communicate with wild animals, who can understand her thoughts, she wouldn’t worry about encountering the predators. But these wolves didn’t respond to her. She tries to shrug it off, afraid to reveal her fear to Noah, her boyfriend and the deputy sheriff. But that’s not all she’s hiding. Drawn to Xander like a moth to a flame, she warns herself to stay away from him. She's convinced he knows something, and she doesn't trust him. Besides, Noah is the one she really wants. If only she could be sure of that. My eyes adjusting to the darkness, I could see the trees within the shadows, their spider-like branches reaching up to the sky. But my attention was drawn away from them when I heard a faint rustling. Dead leaves scratched against each other from what sounded like something moving through them. “Dakota, please stay. Whatever you do, don’t leave me,” I begged quietly, but my words dropped away when he charged ahead to the woods. I sucked in a deep breath as he disappeared. In his hurry to chase off whatever was out there, he’d left me alone, vulnerable and unprotected. I whirled around, prepared to hurry back to the house, but a man stood before me blocking my path to the patio steps. Fear blasting through me, my heart hammered in my chest. I started to move to one side, but the man stepped with me, remaining directly in front of me. Looking up into his cold, dark eyes, I stopped, feeling like a deer trapped by a mountain lion.